Goclever Extreme Pro 4K records images at a maximum resolution of 4K (3840 x 2160 points), at 25 frames per second. The user also has the ability to record movies with lower resolution, but it is the number of frames per second – 2.7k (2740 x 1524, 30 fps) and Full HD (1920 x 1080, 60 fps). It is also possible to record time-lapse materials. Video clips are stored on memory cards microSD (maximum capacity of 32 GB) in .mov format. It is also possible to take pictures with a resolution of 12 megapixels (4608 x 2592 px). In addition, Extreme Pro 4K can be paired with a smartphone via Wi-Fi. In this option, the user can use the phone to preview a live image of the camera, as well as to control the device. 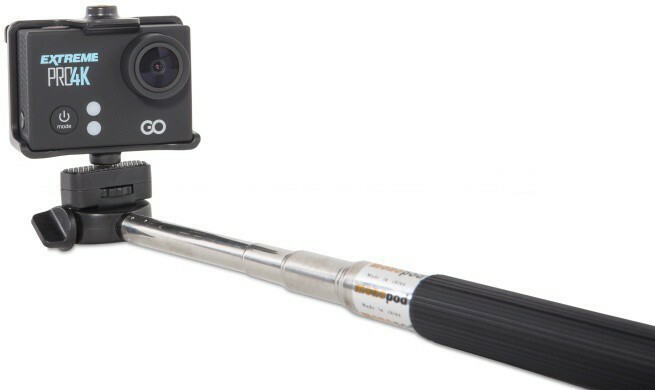 included with the camera are offered accessories, which include, among others, mount (helmet, handlebar bike, belt or suspenders, and selfie stick) and a waterproof case. 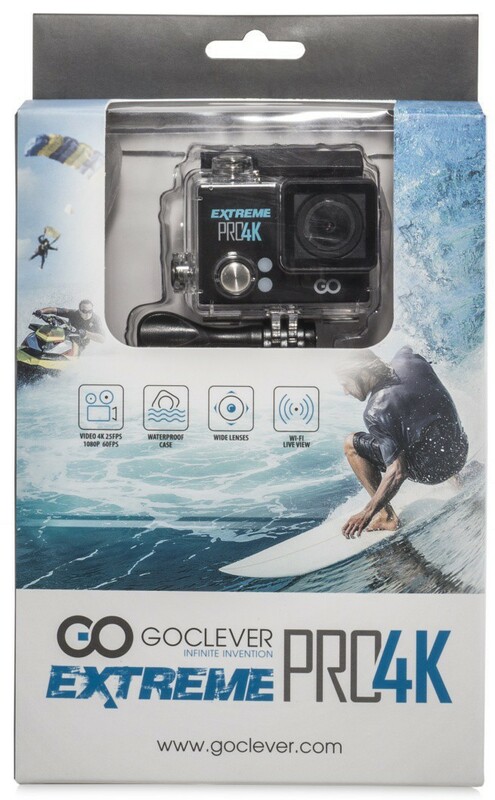 the camera sports Goclever Extreme Pro 4K is available at a price 349 zł.